General Parts Group understands that when you are in need of commercial oven repair or other commercial appliance repairs, time is critical. That’s why our industry-certified technicians are trained to handle all the equipment and appliances in your entire facility including: ware-washing equipment, refrigeration units, ice machines, HVACs, commercial cooking equipment, and food preparation equipment. For further information call us at (503) 624-0890 ) or email us PortlandDispatch@GP-ServiceDirect.com. Expert repairs –Factory-trained and certified technicians are on point to deliver the most comprehensive commercial appliance repairs available, including service on all equipment in your operation. Rest assured your restaurant equipment repairs are in capable hands both during and after your equipment’s manufacturer warranty. We are proud to be an authorized warranty agent for most foodservice equipment brands. Small appliance repair – If you have a small commercial appliance that needs repair, and is small enough to carry, we can take car of it in our on-site repair shop, located within our office. Professional installation – Not only do our technicians conduct commercial oven repairs, they are also trained to install almost any commercial appliance. Schedule installation when it is most convenient for you. Flexible Scheduling – We work around your schedule to minimize disruptions to your business. Quality parts – When conducting a food equipment service, and a part needs replacing, our technicians draw from our vast inventory of O.E.M. 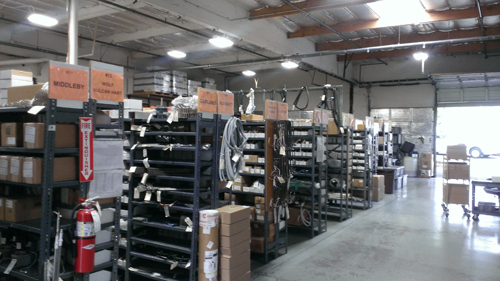 foodservice equipment parts. If you can fix it yourself, shop our catalog at GP-PartsDirect.com, where ground shipping is free when you pick your order up at our Portland location. Emergency Services – We are available when you need us the most with our 24-hour service every day of the week 365 days a year. Customized maintenance plans – We understand the investment you have in your equipment and require it to function correctly for as long as possible. In order to protect those investments we will design a routine maintenance plan that will protect your investments and keep your foodservice facility equipment working properly. Peace of mind – Not only do we work with the manufacturers to honor their warranty, we also back our services with our own 90-day warranty. Additionally, we understand that when you can’t be present for a service, you need to be aware of what’s happening. We can use our Automatic Status Update System to email you progress reports throughout your service. Online Information – We provide 24 hour access to your account’s service histories, lifecycle cost report, and more through our online Customer Portal. Click here to request access.